More than a year after a major sniper attack at an electrical substation near San Jose, a new security breach has PG&E asking the public for help. 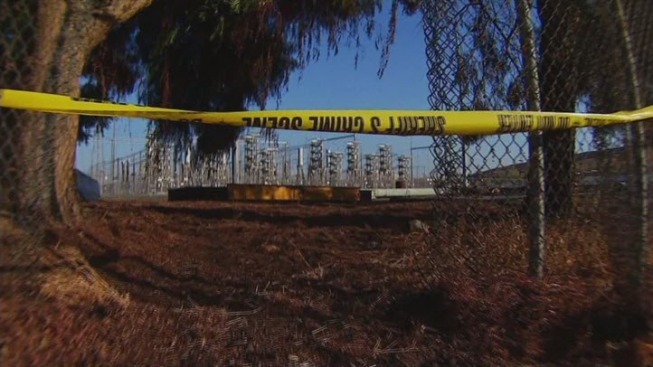 PG&E officials said burglars stole construction equipment from the Metcalf Substation. The security breach happened at about 2 a.m. Wednesday along a fence line at the station, with burglars cutting through in three locations. "We have certain pieces of the puzzle," Santa Clara County Sheriff's Sgt. Kurtis Stenderup said. "Not the whole puzzle we want to recreate what happened." The station is currently undergoing upgrades to address security concerns triggered by the sniper attack last April. The attack destroyed 17 transformers and caused $15 million worth of damage. Some have said it may have been a trial run for a terrorist attack on the country's electrical grid. The two deputies question why it took more than five hours before additional support arrived. They accuse the sheriff’s command staff of downplaying the significance of the attack and failing to quickly call out more deputies and extra resources such as the SWAT team, helicopter and K-9 units. They believe those delays contributed to a crime that remains unsolved 16 months later. PG&E stressed that the latest security breach did not involve impact to the electrical grid or any electrical equipment. The company wrote, "the preliminary review suggests human error as the apparent cause of the security breach as fence detection alarms received in security operations were not appropriately addressed." The utility company urged anyone with information regarding the recent theft to contact the Santa Clara Sheriff’s Department’s 24 hour crime tip hotline at 408-808-4431.